So, hearing that other local programs are saying that “playing time” and “roster size” is an issue with the Gamers. Might as well address this real clearly. First, many local baseball team “programs” would never turn away player/parents with a check in their hand. So, regardless of what they may be saying, their rosters are only limited by people willing to pay. That’s why they have dozens and dozens of teams. Second, we have spent a lot of time figuring out the right roster size to insure a good baseball experience for players. Too many players = not enough playing time. Too few players = need to “fill-in” with pick-up players and perpetual tryouts. Don’t be fooled — 9 times out of 10, small roster size on a competitive team means that they are using pick-up players and running perpetual tryouts. Nothing against pick-up players. But that is not what the Gamers do (or should be doing). Many of the lessons from baseball come from being part of a team. Those lessons are tossed out the window with pick-up players. Also, it is impossible to teach or coach the Gamers style of play with pick-up players. For teams that do not care about team lessons and style of play, then I understand why they would have short rosters and use the extra spots for fill-in players to perpetually tryout. I am amazed by how many young players play for multiple baseball teams. That’s OK. But, it is not how the Gamers do it. Our roster sizes at 14u and above are SMALLER than most nationally competitive teams. They might be one player more than local teams or two players more than the “pick-up player” teams. Why does this make sense? 3. We strictly enforce pitch limits — and do not let kids pitch a complete game on Friday and come back and pitch on Sunday. So, if you plan on playing 2-3 games on Sunday, you have a choice … hurt kids or add another pitcher to the roster. We could add 3 more roster spots to our teams and Gamers players would still practice more, get better coaching/instruction through the pre-season and in-season program and learn what is means to be part of a team and at the same time develop individually as a player. I am very comfortable that we have the correct balance on this. The “How to Win” formula has been a work in progress for a decade. 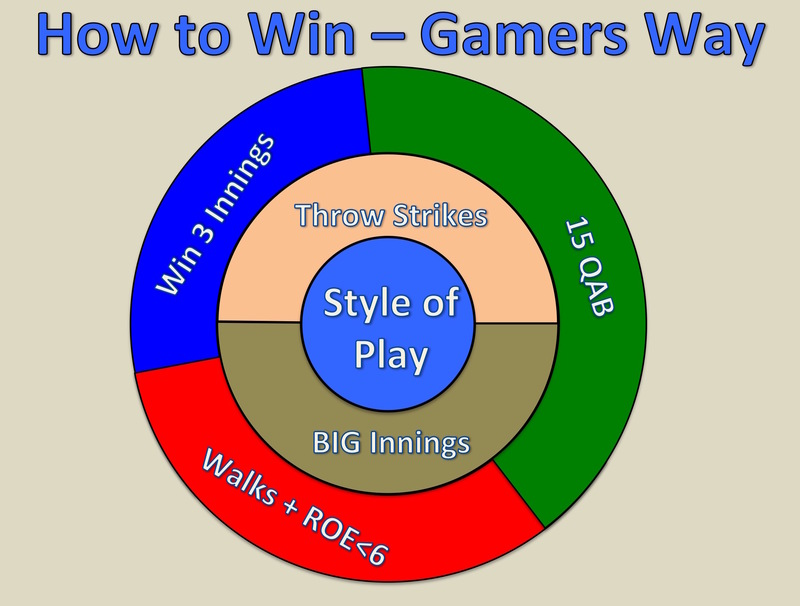 For a complete ebook on “HOW TO WIN IN YOUTH BASEBALL”, please visit http://gamersacademy.net/win. We strongly believe that the most important element of youth baseball is teaching kids “how” to succeed. The Gamers program is built around this mission — teaching young men how to recognize and take responsibility for things they can control to be successful. The process of success on the baseball field pays direct dividends in success off the field and in 10 years when young men start making their way in life. Baseball is a PROCESS, not an EVENT. Although the game seems random at the instance of action, over the long term a series of input factors will control the result. So, the Formula for Winning is defining the process behind winning, focusing on inputs that are within the control of the player. Over the past 10 years, we have collected and analyzed lots of data and statistics on youth baseball – primarily 12-18u, literally thousands of games. And the introduction of Gamechanger a four years ago makes the collection and analysis of data even easier. To a lot of players, parents and coaches, winning or losing a baseball game seems like a random event, like playing roulette. Our mission has been to teach kids “how” to win – the process of winning. Winning is NOT a random event. Here is the simple three- part recipe for winning baseball games at the youth level: Win 3 innings (you will win 90% of the game that you achieve this) Have 15 or more Quality At Bats (you will win 80% of the games that you achieve this). 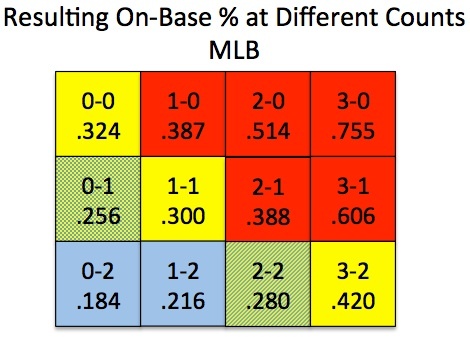 Limit Walks + Reached on Errors to 5 or less (you will win 80% of the games that you achieve this) In a single game, if you accomplish 2 of the three above, you will win >90% of the time. If you accomplish all 3 of the above, you will win 98% of the time. It is truly a recipe for winning. 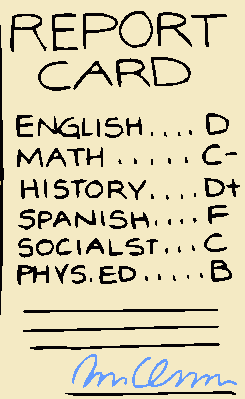 It has only happened to me in one in 10 years — where we have accomplished all three goals and lost the game. I am pretty sure that the same factors hold true in college baseball and professional baseball, but the metrics are different due to 9 inning games and the level of talent. But, the concepts are directly applicable. These three factors give kids simple concepts to focus on. All three are within their immediate control. Winning a game is the result of winning individual battles – one inning at a time, one at bat at a time., one pitch at a time. Each inning, each at bat, each pitch is a battle. Win the individual battles and you will with the game. This is a breakthrough in teaching kids “how” to win a baseball game. And, this approach is directly related to success in life, which is a process that unfolds in a series of daily battles and does not just magically happen. Given the popularity of the MLB and associated video games, fantasy leagues and 24/7 coverage, baseball at that level is as much about entertainment as it is about the actual game. If WWE is 100% entertainment, then NFL is 60% and MLB is now 50%. There is nothing wrong with this, because MLB has been able to keep the game relatively pure and without a doubt puts the best players in the world on the field, competing very hard 162 games a year. The quality of MLB baseball is lot better than the quality of WWE wrestling. Players want to develop an image, be noticed and standout in the entertainment business. Goofy hair and crazy beards is an easy way to stand out and establish your entertainment brand. Hey, look at me. It makes perfect sense and it works. It always has worked — from 1960’s rock to the WWE and now to MLB players. From Al Hrabosky to Brian Wilison — this is not new. If I was being paid a lot of money to play baseball, and was focused on my personal entertainment brand, I would probably do the same thing. But, if you are not in the entertainment business, if you are just playing baseball to compete and get better and have fun, it makes little sense to have long hair and Duck Dynasty beards. It is a summer sport. It is impractical and lacks common sense to have long hair and a DD beard when competing for 2 hours in 90+ degree sunshine. Long hair in football may be OK for NFL players looking to standout on the field of entertainment and on Madden 2014, but long hair hanging out of a football helmet incredibly impractical and frankly stupid. DD beards and long hair in baseball are not much different. So, here is the problem … I am starting to look around and see too many players and coaches in the amateur baseball world imitating MLB entertainers in the area of personal grooming. Amateur baseball is not entertainment. It is impractical to have long hair and crazy beards in an amateur dugout. Seeds sticking in long beards just looks stupid. When I see coaches wearing Evoshield wristbands, I laugh at them. What’s the point? Same thing goes for paid coaches with crazy beards and long hair. If you are getting paid (anything) to be a baseball coach or are coaching baseball at a high level, there is no reason to have long hair and a crazy beard. It sends the wrong message. Amateur baseball is not about entertainment or personal branding. Obviously, amateur baseball players/coaches will do whatever they want to do and I respect their right to do that. But, if you want to standout and be noticed for personal grooming habits, you have to recognize that people are going to ask the “What’s the point”. And, the answer is sometimes pretty obvious. One of the reasons I enjoy 14u baseball is watching the transition to a big diamond. Compared to 13u baseball, pitchers are throwing 6 ft. further, bases are 10 ft. further and throws are 10-20 feet longer. Then, you add -3 BBCOR bats to the mix. A lot of things in flux. Players need to get good at making adjustments at this age. Here are four things that work in making this transition. 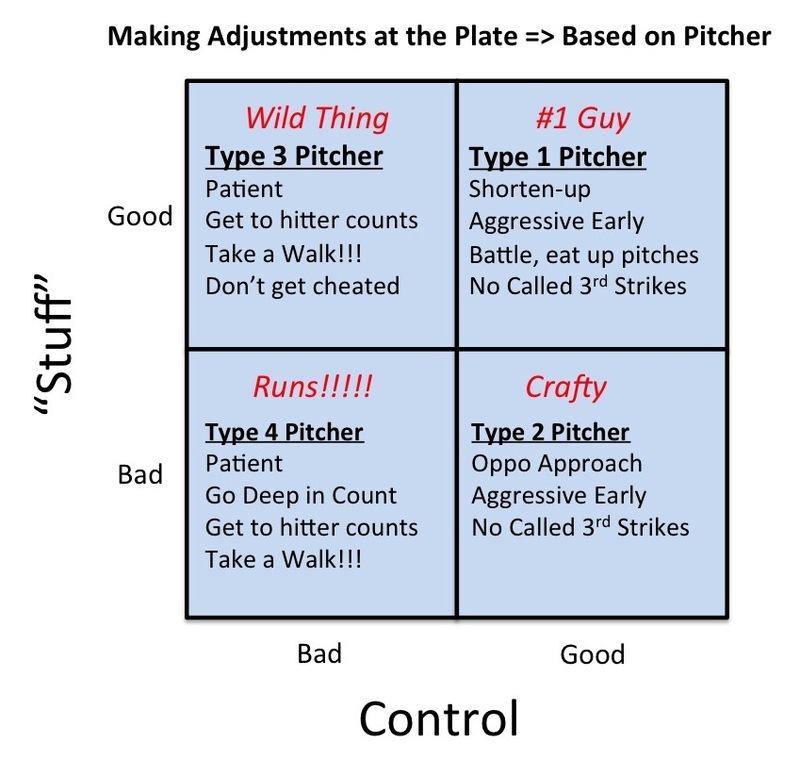 1, Pitchers need to challenge hitters to put the ball in play. It is harder to get a hit at this age — fielders are fast and no one can outrun a baseball. 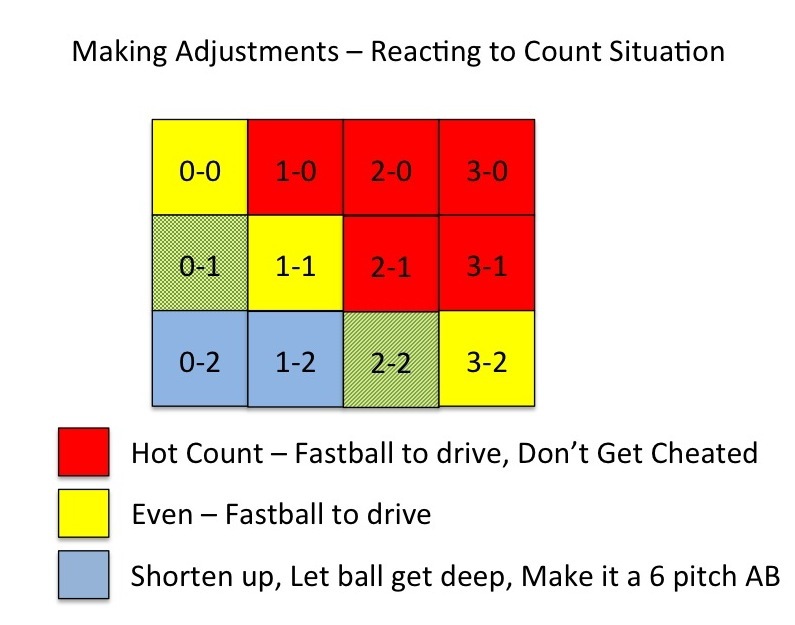 Challenge hitters and see what happens. 2. Infielders need to move through the ball. Bad footwork will not work on a big field. 3. Hitters need to attack the inside half of the ball and go gap-t0-gap and opposite field. You are going to be out front and rollover 10X more than you are going to get beat by a 14u fastball. 4. The value of speed and good base running just got amplified. If that is part of your game, push things hard. If speed is not part of your game, then get to at least average speed and quickness and become a great baserunner. It makes a difference. Good news is that the fields are not getting any bigger from now on. This is it. This is a good time to make the adjustments.